Some days with babies the world seems very small and it is refreshingly invigorating to be reminded that the world is big, and that you can still embrace it when you have a baby strapped to your front. 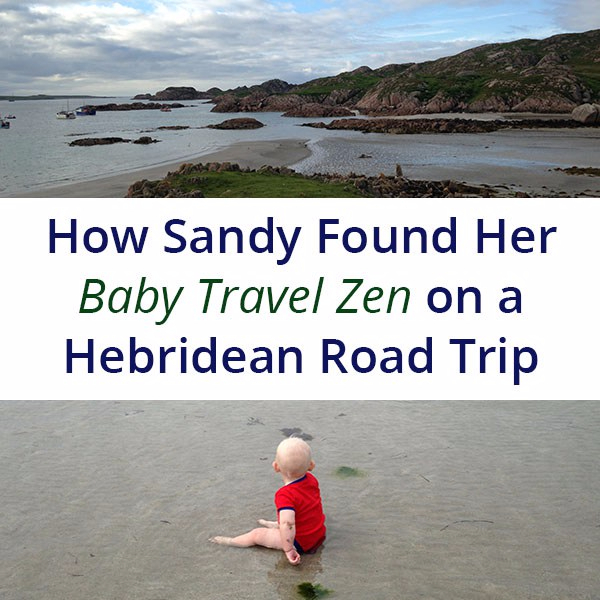 Many people looked at us askance when we said we were going travelling with our baby, but we did not know any different. We believed we could do it. We did it. We loved it. This book is not a How To Guide, it is a gathering together of twenty tales from around the world written by people who tried and survived a journey with a baby. It is by and about mums, dads, sisters, grandmas, uncles, mums yet to be and even a baby the devil jumped over. I am delighted to say I have finished reading the collection and was completely taken by its simplicity, colour and warmth! What a beautiful collection – filled with elements of adventure, uncertainty and sheer boldness! The diversity of inclusions make it fascinating in terms of content and tone. I loved how the experiences blended seamlessly together, united in terms of the connection and meaning behind life and parenthood. I especially enjoyed this despite the inclusions having such different contexts – not merely geographical but also cultural, social, familial, personal. The list goes on! As someone who has travelled and who is not a parent (but who has reflected carefully on the subject), I delighted in reading it and concluded the book with complete satisfaction and a wide smile which my friend commented on while we were on holiday! It was a pleasure to read and I am so thrilled to be part of it! I really enjoyed reading Travels With Babies – I found the stories mixed in tone and not all sugar sugar roses at the door. Some were very moving and deep, others raised a laugh. Or an insight. Or both! I think it’s a charming and quirky collection.